This report presents the results of a two-year long study to gather data on the fastest-growing demographic group in the nation's schools. 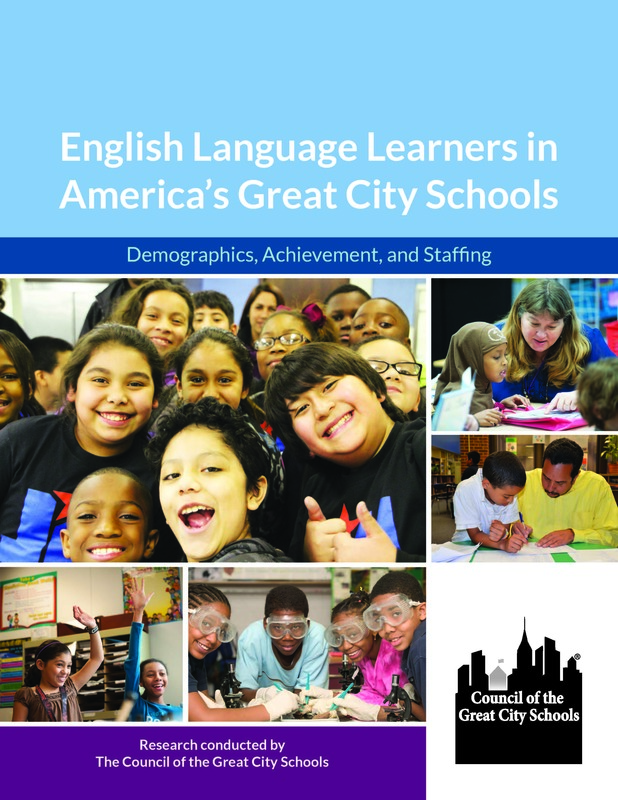 It updates most of the data presented in the Council's first-ever study on English language learner (ELL) programs that was released in 2013. 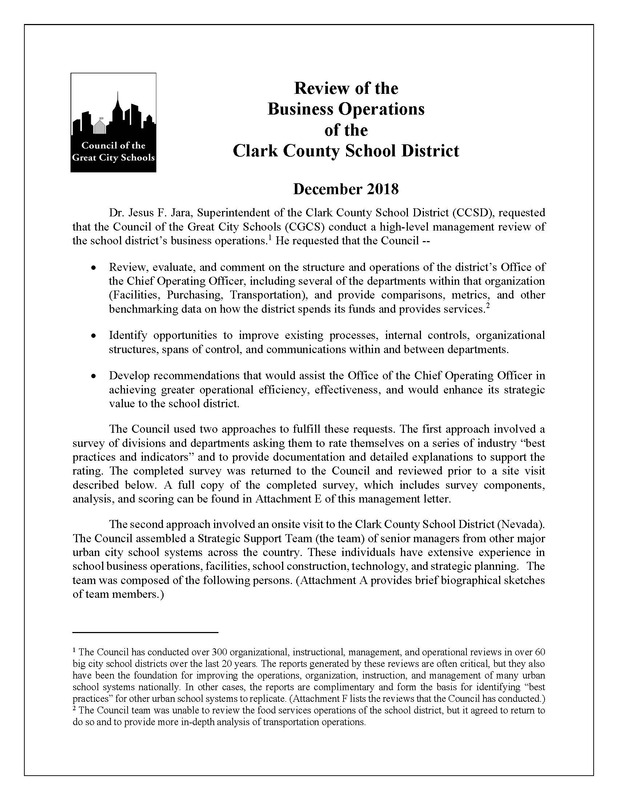 Clark County School District requested that the Council of the Great City Schools conduct a high-level management review of the school district’s business operations. The evolution of technology has brought new purchasing and sourcing tools and techniques to bear. This White Paper identifies and describes a number of best practices, both tactical and strategic. 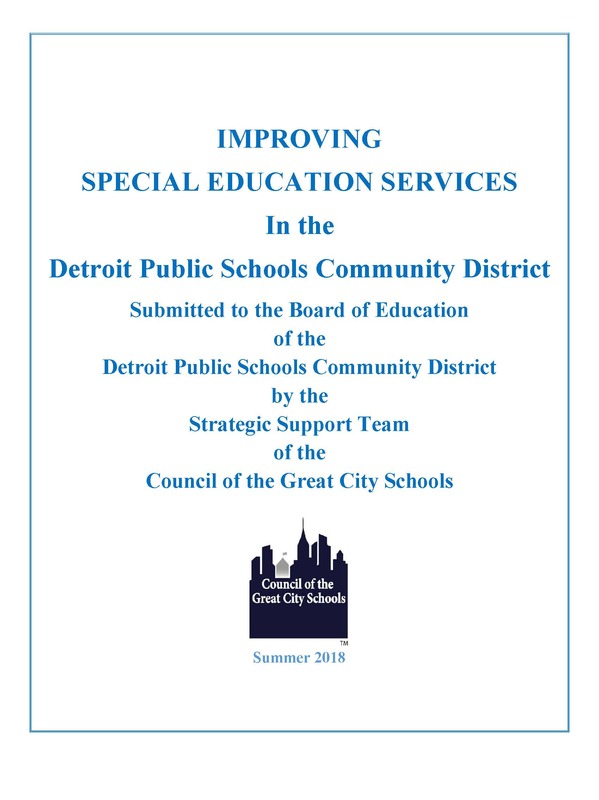 The Council was asked to review DPSCD’s services for students with disabilities and provide recommendations to support the teaching and learning of these students. 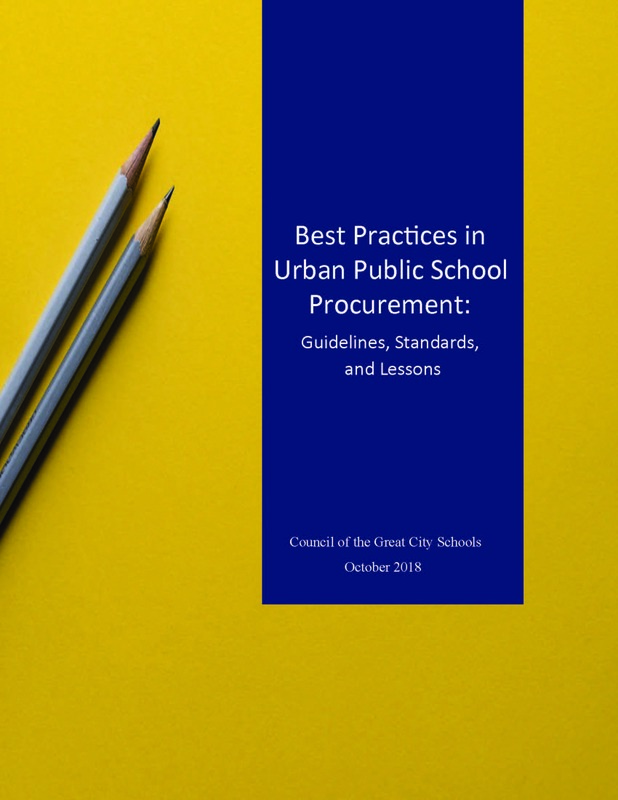 In 2002 the Council of the Great City Schools and its members set out to develop performance measures that could be used to improve business operations in urban public school districts. 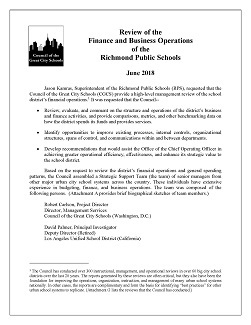 Richmond Public Schools requested that the Council of the Great City Schools provide a high-level management review of the school district’s financial operations.